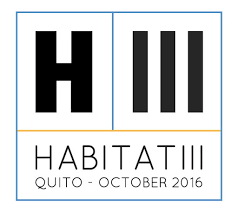 In honor of the UN Habitat 3 Conference convening in Quito, Ecuador in 2016, SLAB has created a video to contribute to the global conversation about urbanization. It connects the global scale of our urbanized world to what this means for people’s lives. Transitioning from data visualization to cinematic narratives, we meet migrants who are literally living under the megacity of Beijing. Our hope is that by seeing them and hearing their voices, we can understand that they are integral members of our cities. SLAB’s involvement was two-fold. We produced the above video to add to the conversation about the future of our cities. It encapsulates how we frame the contemporary urban spatial challenges from a global point of view. It is also another step in our line of experiments exploring how we might interact the humanities with public policy discourse and data. The second involvement was as participant. SLAB Director Annette Kim was one of the accredited stakeholders (researchers and academics) as part of the newly formed civil society organization, the General Assembly of Partners. She also served as discussant at a housing policy dialogue session sponsored by the InterAmerican Development Bank and Habitat for Humanity International. She pointed out that the UN conference attendees’ move towards urban inclusion is fighting against an anti-(im)migrant narrative sweeping the globe. Annette outlined two points. Spatial justice and inclusion will require change in two realms: 1) re-writing and normalizing urban narratives about who is legitimate to be in the city and therefore how a denser and more diverse city life is supposed to look and be experienced. 2) in order to re-construct our social contract about property rights to urban land and space and their entitlements, liabilities, codes, and regulations. 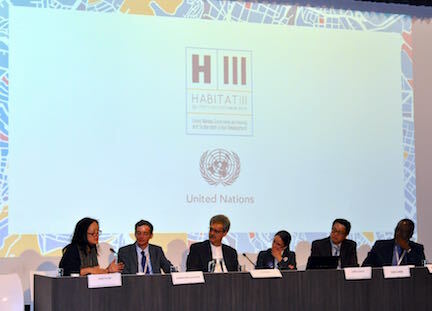 She notes that with the greater integration of stakeholders at Habitat 3 than in previous convenings, we are engaged in an international division of labor to rebuild these narratives and property rights. Her full comments are available here. Annette delivering her comments to the panel organized by the InterAmerican Development Bank and Habitat for Humanity International. 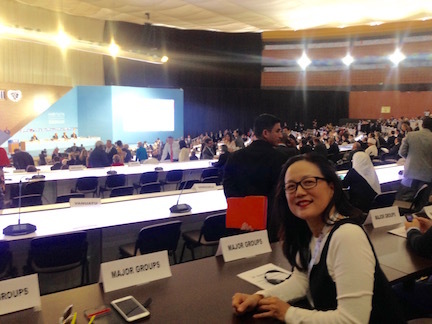 Annette seated in the general plenary meetings of UN Habitat 3 as a member of the General Assembly of Partners, the first time civil society members have been given such levels of participation.